A client needed safe technician access to engine pylons on their fleet of Airbus A350s. the pylons’ position can cause workers to unsafely overreach over the nacelle or position a work platform over the top of the engine, risking overbalancing and falls. 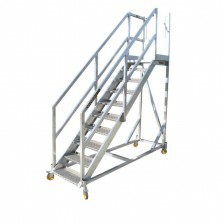 This system was designed and manufactured by SafeSmart to solve that challenge. A large cantilever hangs over the engine, getting the worker close to the pylon for checks and maintenance. 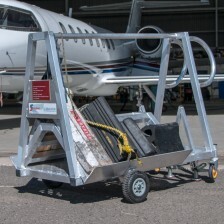 Aluminum construction provides weather resistance and easy portability, allowing technicians to get the job done and move form wing to wing quickly.